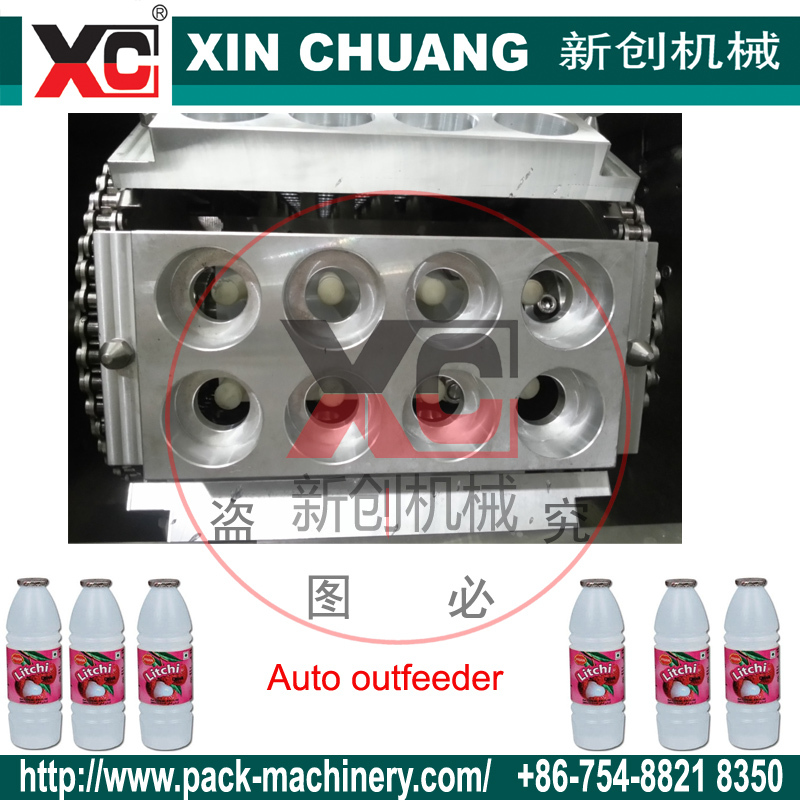 A bottle filling machine specially designed for Milk drinks filling and sealing. All new design bottle filling machine. 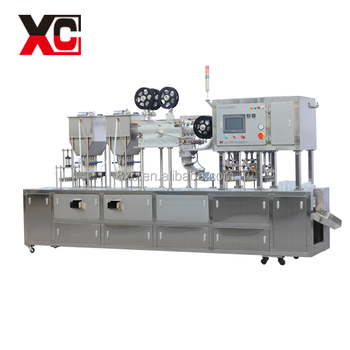 The new technology of this machine is designed by our factory, which get the technical patent. 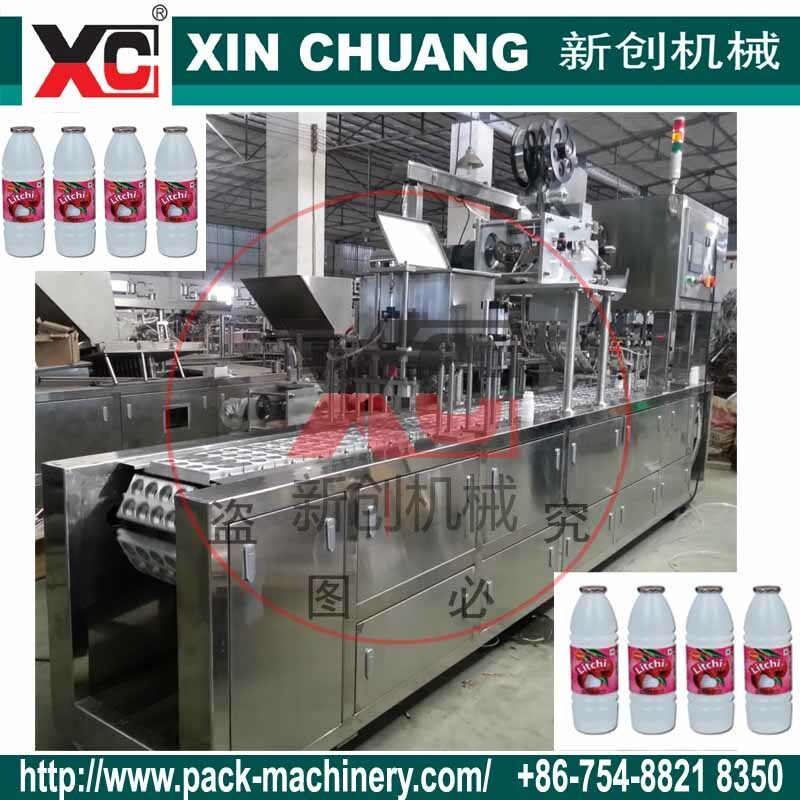 A highly automated bottle filling machine. 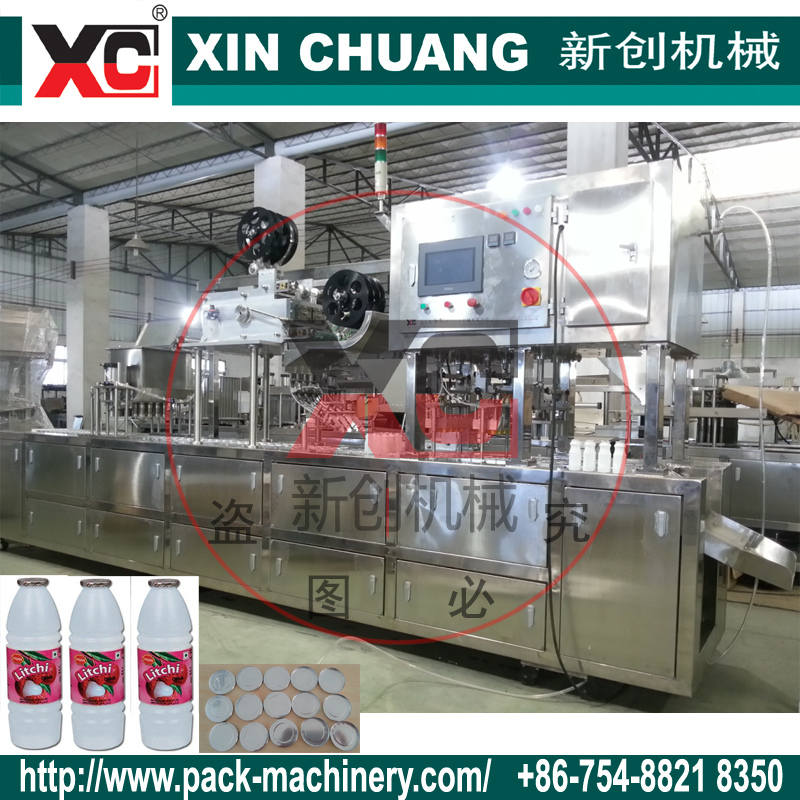 The operation cycle, from filling, putting lids, hot sealing, folding to product outfeed are fully automatically performed. It's a necessity in mass production line !